Most standard starter fertilizers are primarily composed of the polyphosphate form of phosphorus, allowing inclusion of tank mixed micronutrients. Polyphosphate must be converted into orthophosphate (a plant-available form) before plant uptake and utilization. A typical starter program in the U.S. Corn Belt is 5 gallons of ammonium polyphosphate (10-34-0) plus 1 quart of zinc. 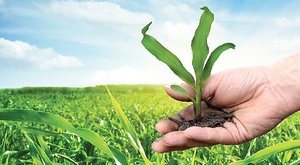 Other starter fertilizer products, such as those from Loveland Products, provide highly efficient starter packages that typically can be applied at lower rates than standard polyphosphate with similar results in the field. All of these types of starter fertilizers benefit from the addition of the biochemical technology contained in Accomplish LM (for liquid programs) or Titan XC (for impregnation on dry fertilizers), which speeds up the conversion of polyphosphate into plant-available orthophosphate and releases tied-up nutrients in the root zone. Both products can also facilitate nutrient uptake by increasing feeder tip roots and root mass for improved plant performance. 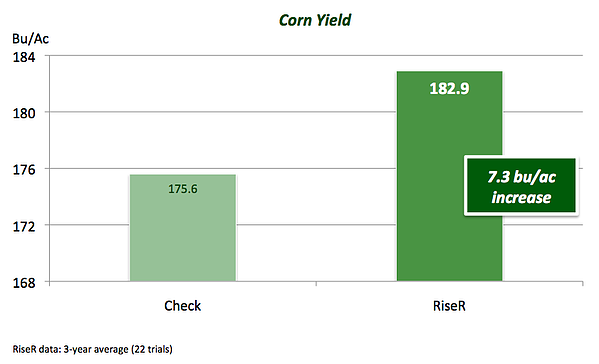 In these two corn starter trials, the grower’s standard practice was 5 gallons of 10-34-0 plus 1 quart of zinc. The grower's standard alone was compared to the grower's standard plus 1 quart of Accomplish LM. The Results? Adding Accomplish LM to the grower's standard program out-yielded the grower's standard alone by an average of 9.4 bushels per acre and provided an ROI of about 3.7:1. 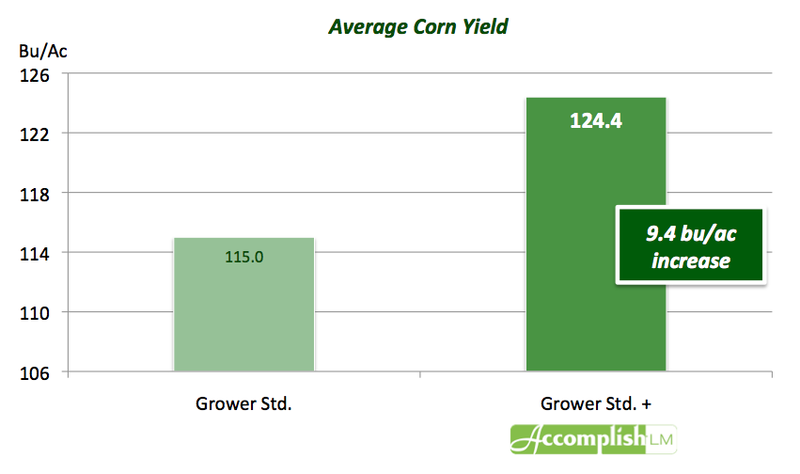 The data charts below show two- and three-year averages from Minnesota and South Dakota innovative plots conducted by Nutrien Ag Solutions. RiseR was applied at 2.5 gallons per acre and Accomplish LM was applied at 1 pint per acre in the starter band at planting. 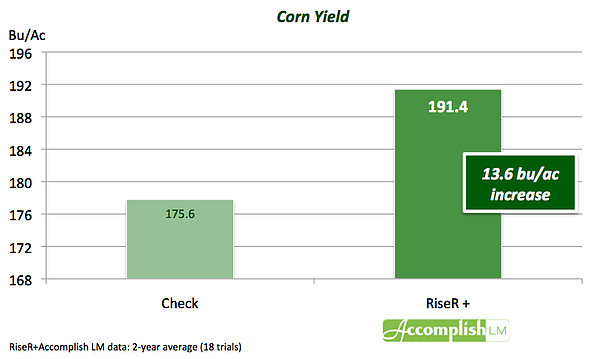 In the top chart, a 7.3 bushel per acre increase over the check demonstrates the effectiveness of using starter fertilizers. 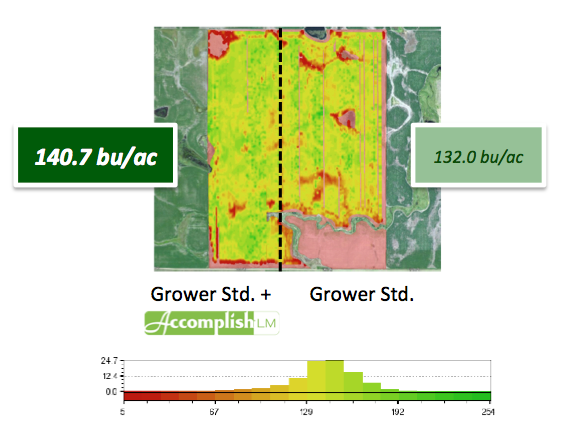 When Accomplish LM is added to the starter fertilizer (below), that rises to 13.6 bushels per acre over the check. This data is a good demonstration that the addition of a biochemical fertilizer catalyst to a starter fertilizer program can increase the efficiency and uptake of those nutrients. 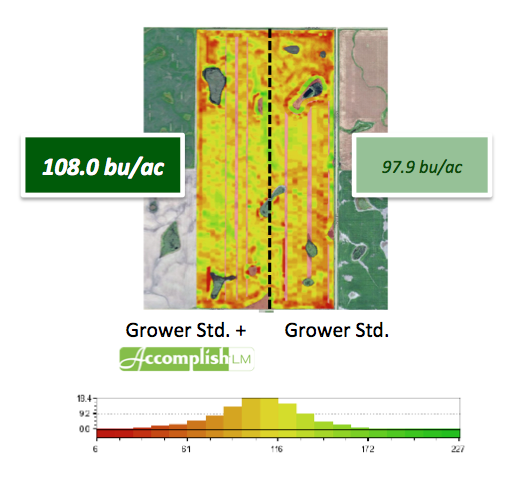 Growers that use starter fertilizers, whether polyphosphate (10-34-0) or higher-efficiency products, can improve the efficiency of their programs and realize higher yields by including the concentrated biochemistry provided by Accomplish LM and Titan XC. Learn more by visiting our starter resources page.